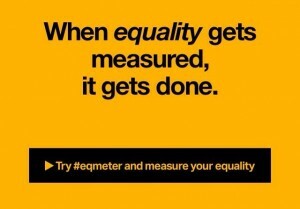 I am delighted to write this blog to kick-off Add Gender and Mentimeter’s partnership and release of #eqmeter. Together, we are ensuring that organizations globally have a free tool that will allow them to kick-start equality discussions, follow-up equality work and easily illustrate long-term equality trends. Mentimeter is a free survey tool that you can use for meetings, conferences, and group discussions. It shows the results of your survey questions in real time, and the audience answers using their phones. It’s especially great for equality, because it’s anonymous. So there is no barrier to having an honest, open discussion. Add Gender and Mentimeter are releasing the #eqmeter, which is a global, 3-question survey that measures every participant’s answers in real time. Check it out here and immediately see how your answers change the overall tally. We are also giving away a free, 5-question survey about equality to every person who tries Mentimeter‘s free premium trial. 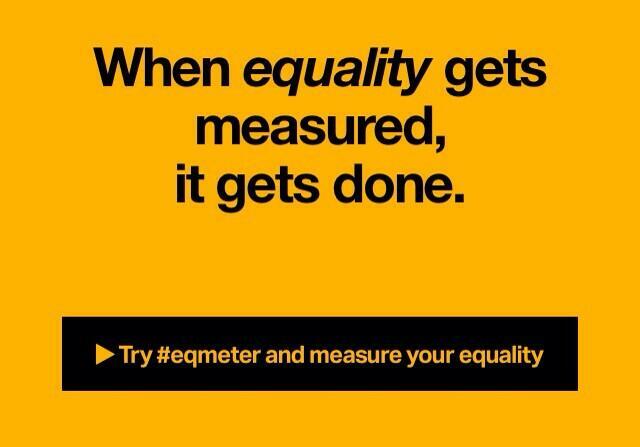 I want to say upfront, though, that this tool isn’t for measuring everything relating to equality. It has limits. You might be wondering, “How do you measure equality?” Well, we have a tool called 3R that allows us to measure three different areas concerning equality in an organization. First, we look at the number of women and men at all levels and departments. (This can also be applied to other diversity indicators, like age or background). We also look at who’s taking sick leave, parental leave, full time or part time employment, and lots of other things. The next area we look at is resources. Are people being paid the same wages for equal work? Allowed the same opportunities for professional development? And so on. The third area that we look at is culture. This is where surveys like Mentimeter are helpful. They help us understand how people feel, why equality is important at their workplace, what’s hindering equality, work/life balance, and much more. The limitations that survey data have is that they cannot provide us with statistics on either of the first 2 areas that I mentioned – they can’t give us facts regarding representation or resources. For those, we need to use other tools. But they can provide us with a goldmine of rich data on whether or not people know who to talk to if they experience discrimination or harassment, whether people feel that there are equal opportunities for everyone, and much more. Mentimeter is also great as means of following up on your equality goals. This could be through doing a short equality survey in your team meetings or conferences every few weeks or months, and tracking the results over time. Feel free to customize this survey and add on questions that are relevant to your organization. Every country has different rules regarding how you should work with equality. In Sweden, if you have 25 or more employees, you have to write an equality plan and update it every 3 years. If you have one man and one woman employed doing the same work, you have to do wage surveys every 3 years to make sure that you’re not discriminating in your payment of salaries. Add Gender can help you with these things, and there are many free resources on the Discrimination Ombudsman’s website too. To really understand the third area, culture, and follow the law, organizations with 25 or more employees also need more advanced surveys than the one provided here to understand their present situation. We hope you’ll use this tool to start talking about equality, to start asking questions, and to follow-up with your other equality work. Last week I used Mentimeter to ask a few questions at a lecture for 100 people, and they were delighted with the real-time results. I hope your team is also delighted and interested in their survey results! Let us know what you think! Follow the discussions at #eqmeter and #techeq. I especially want to thank Jessica Areborn, who was instrumental in making this tool happen. This is brilliant, fast and useful. Good work!